It is required that you open a Bulk SMS account with us on MultiTexter website or on MultiTexter bulk SMS App. This enbles you to have a private space on the mobile marketing medium ensuring you enjoy all features on the App and Web. Sending Bulk SMS with your company's or business name as sender creates a great perception and excellence feel towards your customers or audience. Register here. Buy Bulk SMS units through mobile transfer or bank payment or online payment with your debit card. Account Name: LORDANDI SOLUTIONSCORP Zenith 1013623868 GTBank 0050933658 Diamond 0057723432 First Bank 2025330474 Use Email as Depositor's name (bank deposit) or Remark/Narration (mobile transfer). From 100 units to 333 units, its N3 per unit, So 100 units is N300, 200 units is N600. From 500 units to 9,999 units its at N2 per unit, So 500 units is N1000. This goes on respectively on the other categories. Go to the COMPOSE SEND SMS. Fill in your Sender Name, Recipients' phone numbers and Compose your message content. NOTE: Ensure you add your number in the Recipients' box to confirm delivery. This helps you to know all your contacts have received your bulk SMS. For any assistance, reach us through email or Call. 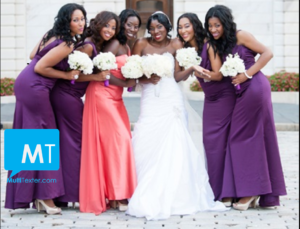 Are you looking for a free bulk sms website in Nigeria, and you want to send bulk SMS 247? First, go open a free bulk sms account now on Multitexter.com or click here. Secondly, it's weekend so the banks are closed, but you can still buy your bulk SMS units this WEEKEND to enable send your bulk text messages. Thirdly, you can make a MOBILE TRANSFER using your bank's mobile app or USSD CODE like *737# (GTBank users) or *894# (FirstBank users). Click here for all banks' transfer code that you can dial to transfer money to our account in order to buy bulk SMS. Account: LORDANDI SOLUTIONSCORP Zenith 1013623868 GTBank 0050933658 Diamond 0057723432 First Bank 2025330474 Use Email as Depositor's name (bank deposit) or Remark/Narration (mobile transfer). Lastly, you can buy bulk SMS on weekends with your ATM card (Debit card- Mastercard/VISA/ Verve) to recharge online. Click here to buy right now. YOU CAN ALSO USE AN ATM MACHINE TO MAKE A TRANSFER. Bulk SMS in Nigeria on the platform of Multitexter, has really provided excellent services to telecoms, GSM network services or any telecoms provider from any part of the world for some years now. The benefits of using this bulk sms service are not a few. You can enjoy free units on getting a Bulk SMS login after you sign up for bulk sms. Afterwards you will be required to recharge for bulk sms units. There are several ways to go about it. Our focus here is on how to buy or recharge my buy bulk sms account this weekend. "Why am I getting rUPDATE on my phone instead of the Sender NAme I used?" The change of sender name on your bulk SMS to rUPDATE on your MTN number is as a result of the DND (Do Not Disturb) service imposed on your MTN number either by the networks or self. DND was initiated by MTN operators, especially on MTN numbers that are DND active, while non-DND active MTN numbers and other networks (Airtel, Etisalat and GLO) will receive your Sender Name. 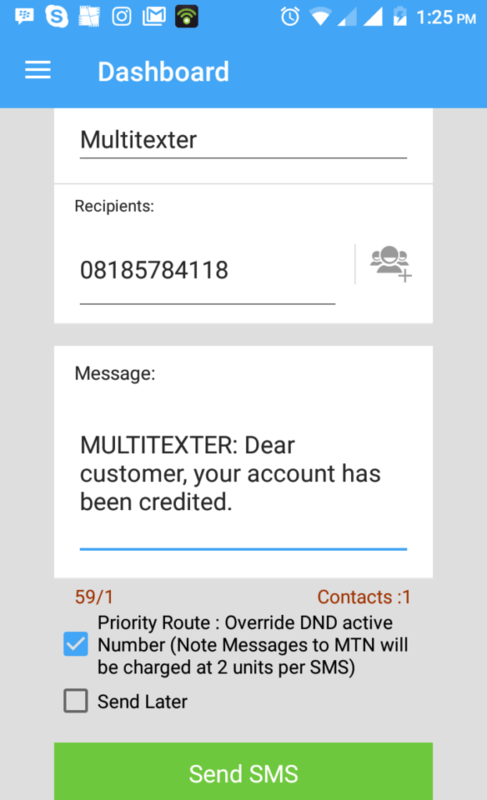 Multitexter.com delivers to all DND numbers as we override Do Not Disturb on MTN numbers, so all your SMS delivers to all MTN numbers. But then we suggest a solution so your recipients will recognize the Sender immediately they receive your SMS even when they get "rUPDATE". "We advise you start your MESSAGE content with your Sender Name so your recipients will quickly recognize the Sender on opening the SMS." See the image below: For instance, after filling in your Sender name as MULTITEXTER, start the content with MULTITEXTER: *Your message*. This will still achieve the purpose of customized bulk SMS. You can buy bulk SMS after you opened a bulk SMS by clicking here. Again, MTN numbers that are not DND active and other networks DO NOT get rUPDATE. Only DND active MTN numbers. You can call MTN call centre or deactivate DND on your MTN number, click here. Share your comments here or on Facebook, Google+ and Twitter. This free time also is an opportunity for business owners or entrepreneurs or employees to restrategize on they can achieve better results. If you are looking for the simplest ways to reach all your phone contacts with an invite, just use bulk sms. Click Bulk SMS. MOBILE TRANSFER: Transfer money from your Bank’s mobile application to any of our accounts. 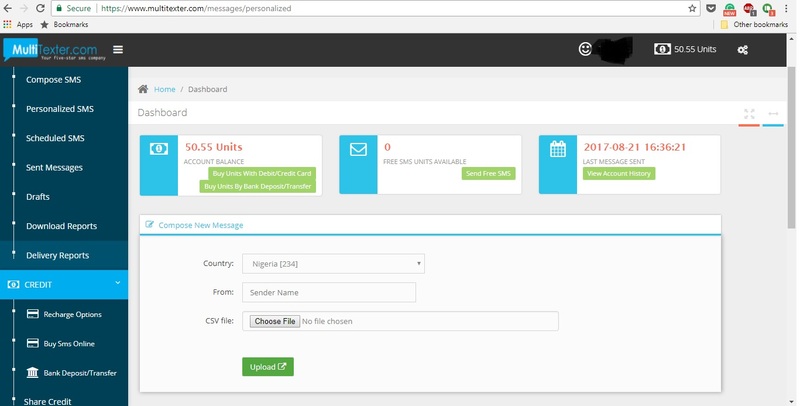 A transfer of N1,000 will get your bulk sms free online account credited with 500 units. Account Name: LORDANDI SOLUTIONSCORP Zenith Bank 101-3623-868 Guaranty Trust Bank 005-0933-658 First Bank 202-5330-474. Diamond Bank 005-7723-432 ATM TRANSFER: Buy bulk sms in Nigeria by making a mobile transfer or use any working ATM machine with your Debit card ONLINE PAYMENT; There is also a provision to buy bulk sms units. Click bulk sms online to purchase bulk sms units. Quickteller, Paga and other online platforms for transferring money can be used. [caption id="attachment_2806" align="aligncenter" width="973"] Click this Image to Get started. [/caption] If you have a GTBank Account, you can also transfer by sending *737*1*Amount*0050933658# where you replace amount with the money you want to send to us for SMS units. For FirstBank account holders, you can transfer with the *894# code, and follow the instructions. Ensure you have your atm card handy as you would need the last digits for verification. Then fill the form here afterwards. On MultiTexter app or website, simply click the "Recharge" part and on the "Buy With ATM Card" follow the instructions. It is safe, fast and easy. Click here to buy bulk SMS units online. Use of Quickteller, PAGA and medium of online payment is acceptable. Pick up your smartphone where your bank mobile app is installed. Make your transfer and fill in your registered email as remark/narration./description Account Name: LORDANDI SOLUTIONSCORP Zenith 1013623868 GTBank 0050933658 Diamond 0057723432 First Bank 2025330474 Use of Quickteller, PAGA and medium of online payment is acceptable. We have a full list of all codes for every bank in Nigeria. Click USSD transfer code to buy bulk SMS units. Recharge your Multitexter Bulk SMS account on a working ATM machine. See steps here. BULK SMS FAQ: WHAT IS UNIT & THE COST OF SMS UNITS? We answered some of your bulk sms questions on units and the cost of sending bulk text messages with a customized sender name in this post. What is the cost of sending one message? The cost depends on the volume of units; N2 per unit from 500 units to 9,999 units, N1.90 per unit from 10,000 units to 99,999 units. What is the meaning of unit? 1 unit is 1 SMS page to 1 number. What is the validity of the unit? 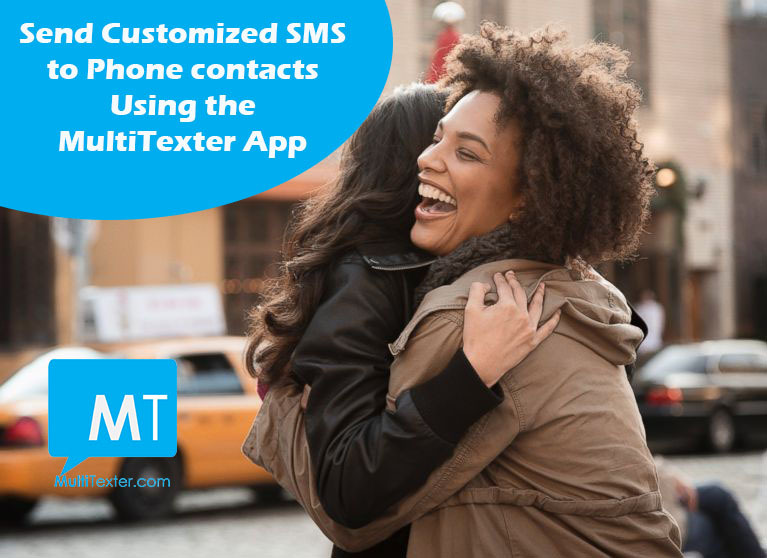 The bulk SMS units doesn't expire on Multitexter.com. So you can use your remaning units any time until you exhaust it. [caption id="attachment_2665" align="aligncenter" width="973"] Click Image To Register For Bulk SMS. [/caption] Buy bulk SMS units by making payments into any of our accounts below; Account Name: LORDANDI SOLUTIONSCORP Zenith 1013623868 GTBank 0050933658 Diamond 0057723432 First Bank 2025330474 Use Email as Depositor's name for bank deposit or as Narration/Remark (on bank mobile app) for mobile transfer. The SMS units doesn't EXPIRE at all. More updates are on Facebook, Google+, Twitter and Instagram. We offer bulk SMS that can personalize your bulk SMS recipients' names in the message sent. MultiTexter: Buy Bulk SMS Account: LORDANDI SOLUTIONSCORP Zenith 1013623868 GTBank 0050933658 Diamond 0057723432 First Bank 2025330474 Fill your Registered Email as Depositor's name or Remark/Narration (bank app). 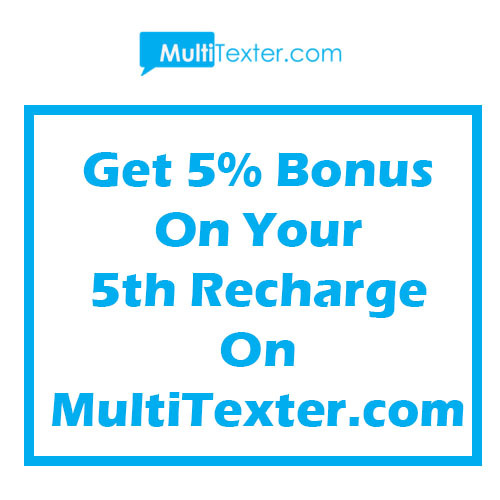 BONUS : Get 5% bonus on every fifth recharge. What this means is that any volume you buy from 33 units to 333 units is at N3 per SMS unit. Also any volume from 500 units to 9,999 units is charged at N2 per unit.From 100 units to 333 units, its N3 per unit, So 100 units is N300, 200 units is N600. From 500 units to 9,999 units its at N2 per unit, So 500 units is N1000. For instance, if you want to send 1 SMS page to about 1,000 contacts or numbers, you will need 1,000 SMS units (N2000) to send your SMS. You Can Buy Bulk SMS Online or through Mobile Transfer or Bank Payment Account Name: LORDANDI SOLUTIONSCORP Diamond 0057723432 Zenith 1013623868 GTBank 0050933658 First Bank 2025330474 Use Email as Depositor or Remark (bank mobile app). NB: 1 unit is 1 SMS page to 1 GSM number except for MTN numbers that will be charged 2 units per 1 SMS page in order to override DND (Do Not Disturb), a blockage that prevents MTN numbers from receiving bulk sms. Have you had issues with bulk sms delivery to all GSM networks especially DND (Do Not Disturb) numbers? 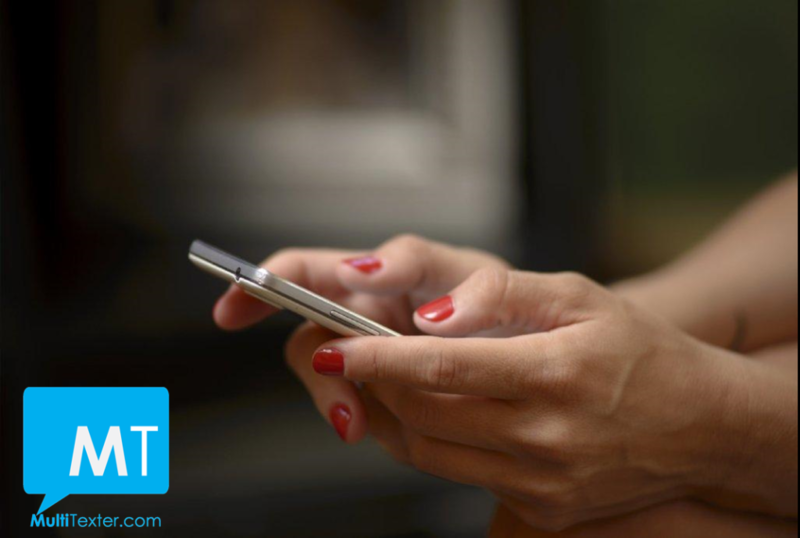 You are on the right platform where your SMS delivers to ALL INSTANTLY. Let's walk you through a few steps on how to send your bulk SMS to all GSM networks; MTN, Airtel, Etisalat and GLO numbers. STEP 1: Open a free bulk SMS account by clicking here STEP 2: Buy bulk SMS units. Bank deposit, mobile transfer or pay online with your debit card/credit card. Click Bulk SMS Pack for pricing. Account Name: LORDANDI SOLUTIONSCORP Diamond 0057723432 Zenith 1013623868 GTBank 0050933658 First Bank 2025330474 Use Email as Depositor or Remark (bank mobile app) STEP 3: Submit your payment details here or Text 08185784118 with your payment details so your account can be credited. 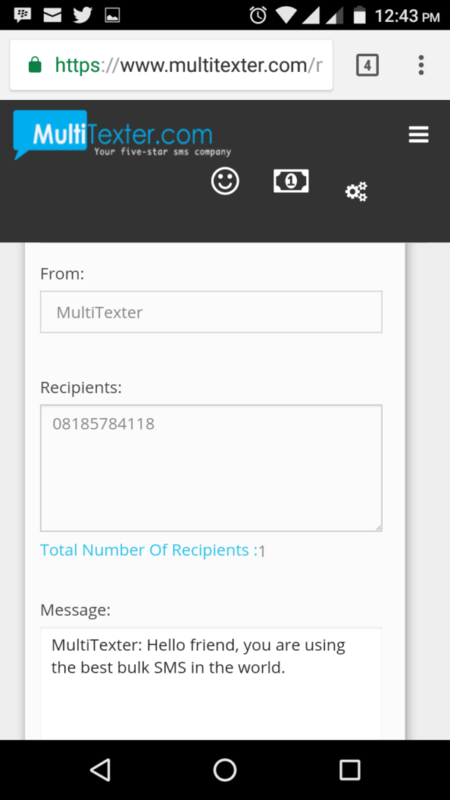 You can now Compose your message, Fill in your Sender Name and Recipients' numbers. ENSURE YOU TICK THE PRIORITY ROUTE so your SMS can deliver on all MTN DND active numbers. See Image Above. For more info or assistance, email us at support@multitexter.com. "Have you searched for the best platform to send your new month messages and you are yet to decide which to use? Keep calm, you are on the right bulk sms website." This is a compilation of phones you can use to send bulk text messages or bulk sms any day, anytime. 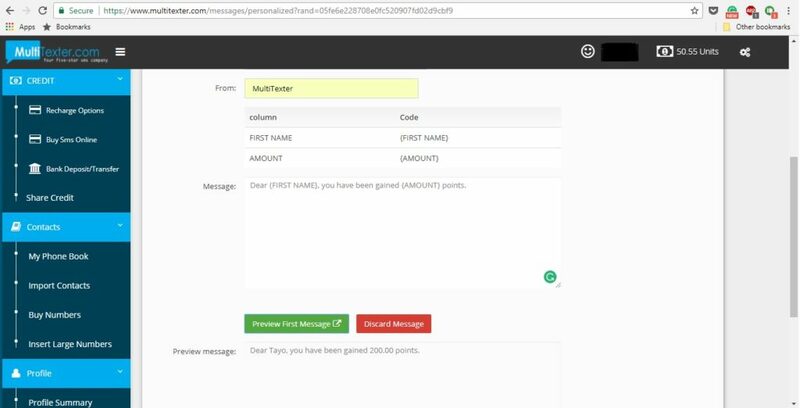 Fill in your Sender Name, Recipients number and compose your message. Click SEND LATER. Click the Date to punch in the particular date. Click TIME and select the time. Ensure the date and time is displaying what you selected. Click Schedule SMS. You can confirm the successful scheduled SMS by clicking Scheduled Messages. 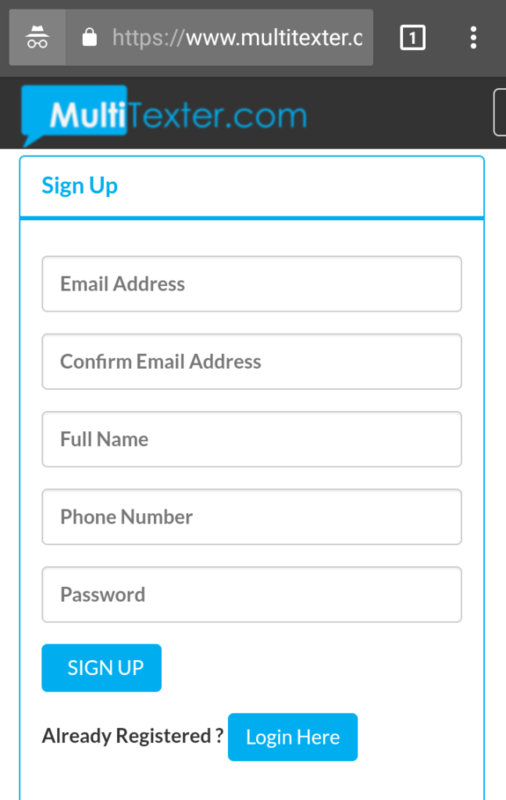 Kindly follow the steps below to refer and get commission on bulk SMS: Step 1: Get your referral link here (It looks like this https://www.multitexter.com/signup?ref=00001) Step 2: Click on your referral link and open bulk sms accounts for the churches or people you want to refer to. Step 3: Encourage your referrers to recharge. When they recharge and get credited, you get commission in your account- which you can check here. Step 4: At the end of every month, the commission will be added to your bulk SMS account as units. Then you can transfer unit to other users and get cash from them Step 5: Share your referral link with more people and get them to recharge so you can get commission units. Get the numbers of parents or students that may possibly be interested in tutorials. Buy Units by using any of the payment options, Mobile Transfer or Cash deposits to Account Name: LORDANDI SOLUTIONSCORP; Diamond Bank 0057723432; Zenith Bank 1013623868; Guaranty Trust Bank 0050933658; First Bank 2025330474 . 4. Compose an SMS that includes details of your Tutorial centre, contact details and your Address. 5. Type your composed message in the message box , Click SEND on the App or on the website. "Why is it that my My name is not showing When my message is sent, what I have is Infiniti?" Etisalat Nigeria changes to 9mobile networks. Therefore our Bulk SMS Etisalat Customer Care number is now 9 mobile. 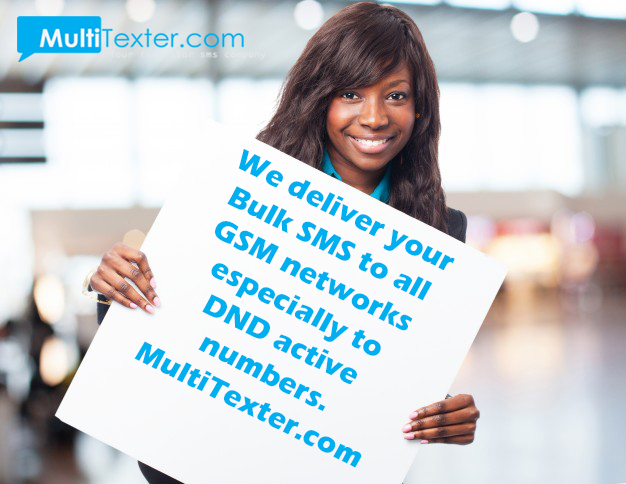 Send text messages to 10-1000 numbers and more on Multitexter mobile app and website. Click Image To Register For Bulk SMS. Our Bulk SMS Customer care line 081-8578-4118 is now 9mobile. 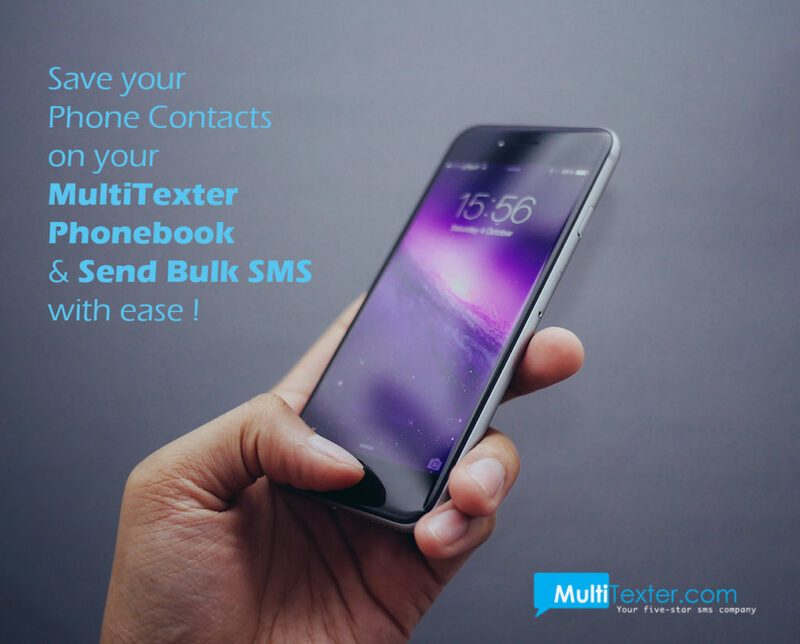 Send Bulk SMS to your phone contacts using Multitexter mobile app and website. WHAT IS BULK SMS? Bulk SMS is the website and mobile app to send a text message to send to 100-10,000 numbers and more with a customized name. HOW CAN I SEND THIS BULK SMS? You will need to mke a payment to get SMS units Make a Mobile Transfer or Bank Payment or Pay Online. Account: LORDANDI SOLUTIONSCORP Diamond 0057723432 Zenith 1013623868 GTBank 0050933658 First Bank 2025330474 Use Email as Depositor or Remark(mobile transfer). Afterwards, your bulk sms account will be credited. Then Compose your bulk sms and SEND! Read more here.